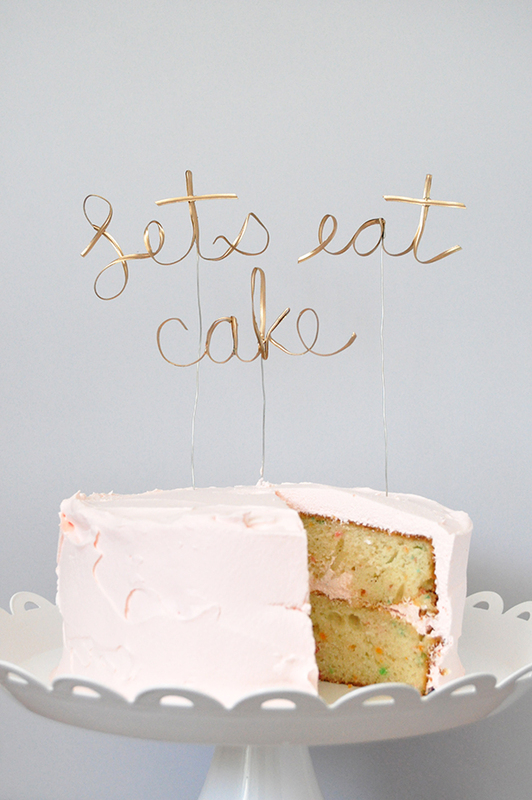 Hand-written script is very popular right now, so I couldn’t help but pair that with my love of cake for today’s DIY cake topper project. 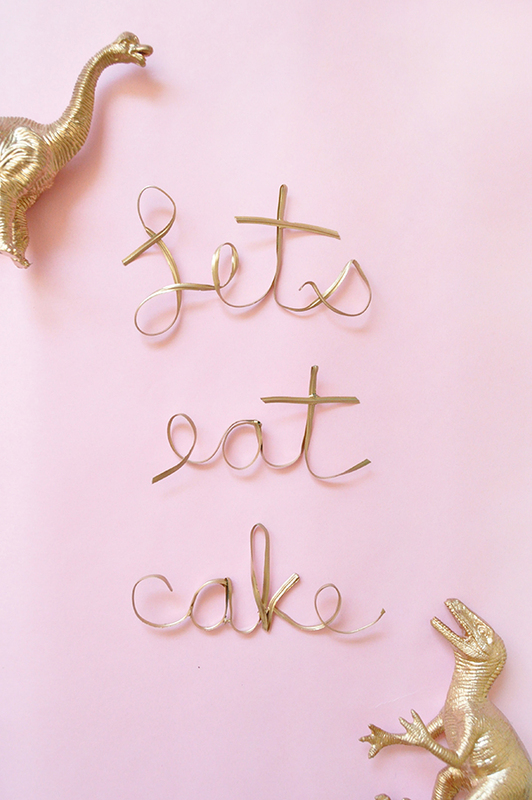 Spell out any message you like – or even do a bunch of individual letters to decorate cupcakes! Step 1: Using your reference, begin forming the twist tie into your words. It’s easiest if you cut a length off from the roll, but make sure you leave yourself enough to spell the whole word! Step 2: Finish all your words. Use a hot glue gun to attach the crosses on the Ts. Step 3: Spray paint the words. 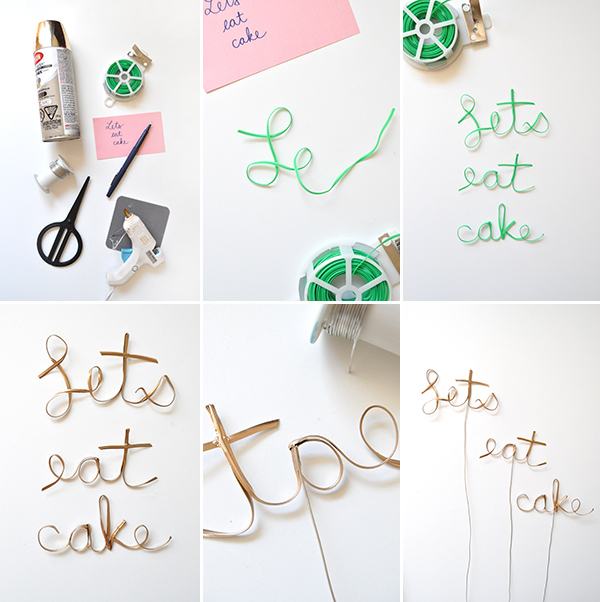 Step 4: Hot glue lengths (about 10″) of wire onto the back of the words. 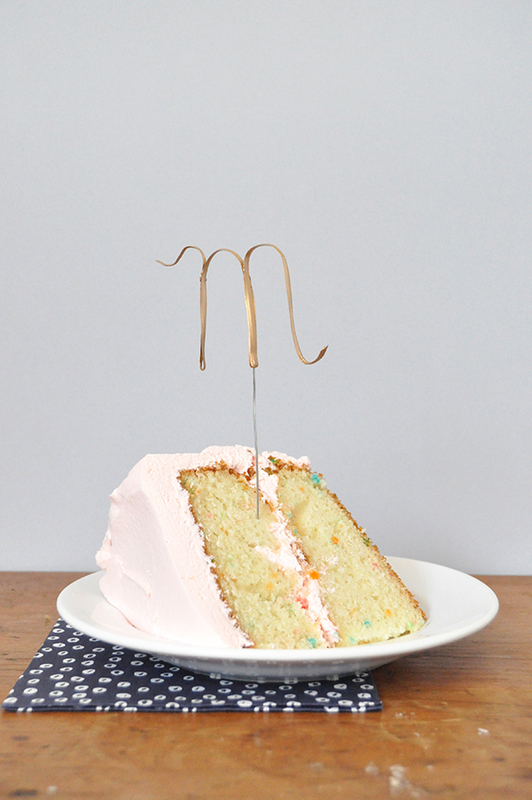 Step 5: Place in your cake! Wow, it looks so nice. I always thought that it is only possible to buy this decoration! I will definitely try it on the next birthday!!!! 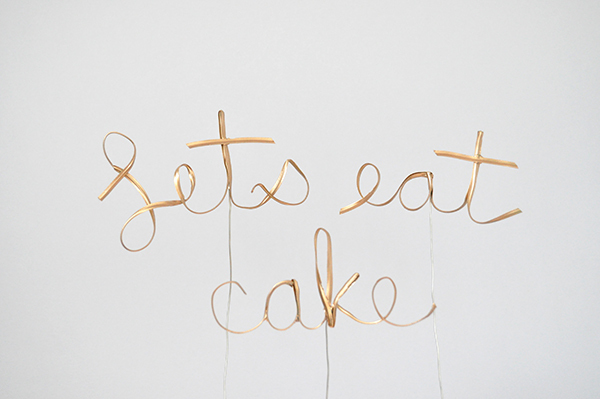 I love these cake toppers! They’re so cute! I definitely need to try and make one soon! What a wonderful idea ! looks great and you can reuse it or prepare it! GREAT! 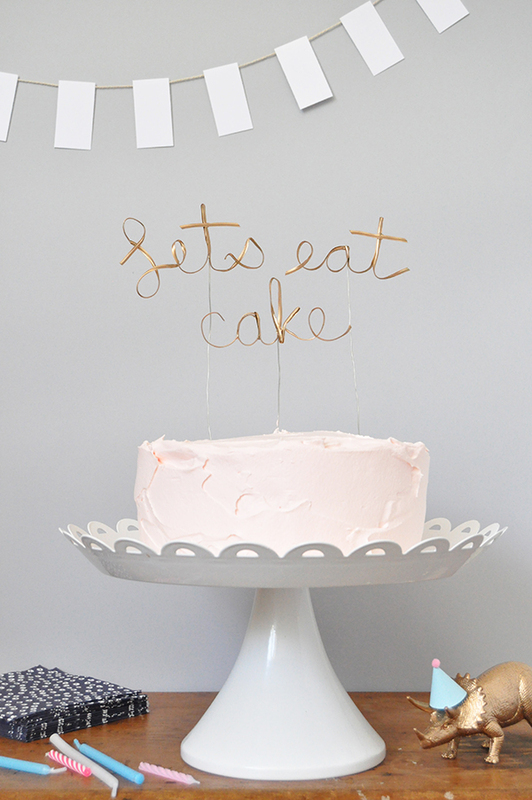 This is adorable, easy and creative – just how I like it. Thanks!